We at Cartoon.guru specialize in Digital Caricature, but all of our artists draw “the old fashioned way” too! Jon Casey got his start at a theme park in Virginia (King’s Dominion for you East Coasters) at age 15, which was in 1996! 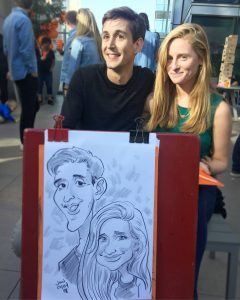 At the time of this post he has 22 years experience drawing people on paper in places like Sea World San Diego, Busch Gardens, and even in South Korea. Traditional Caricature offers a few advantages to Digital. 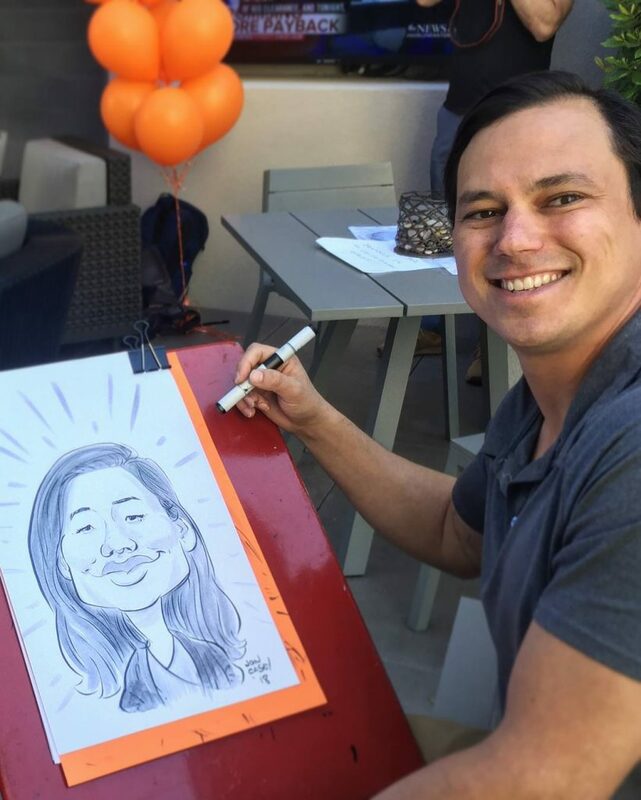 We can work almost anywhere, with no power outlet required. 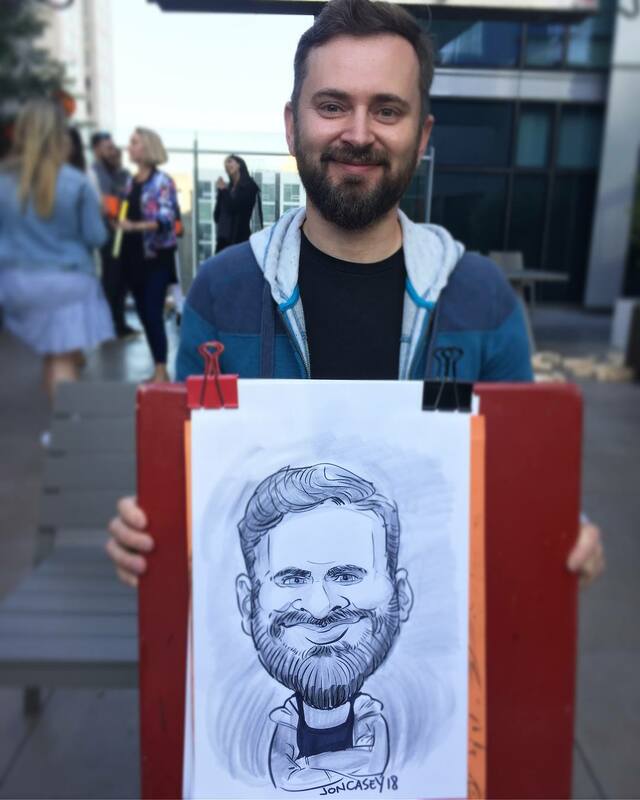 It’s a faster process (simple sketches in as fast as 3 minutes, and the examples seen here in less than 10 minutes) and we can put a small group of people on a single page. 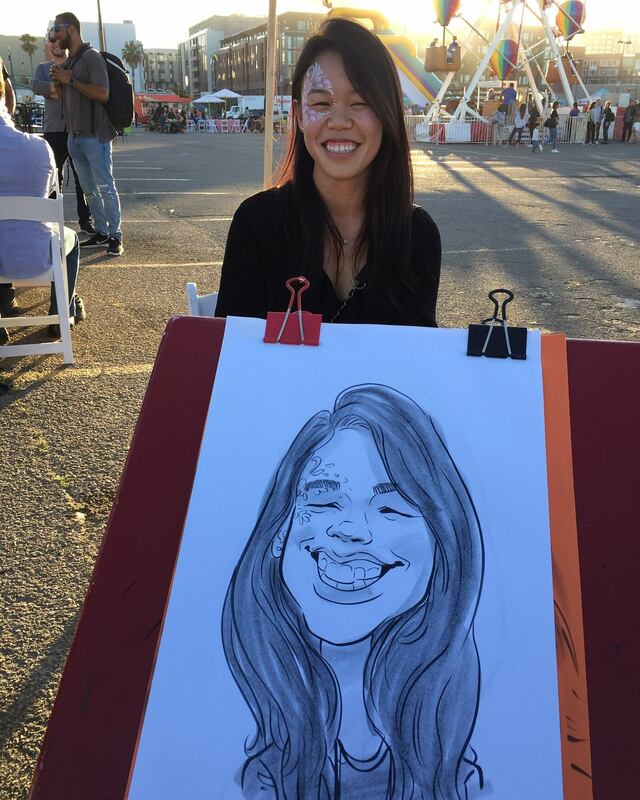 For Summer parties or outdoor events this is the way to go! 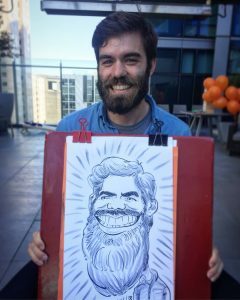 Some clients such as the Electrical Worker’s Union IBEW 595 have had us draw Traditional Caricature for almost a decade in the Bay Area! 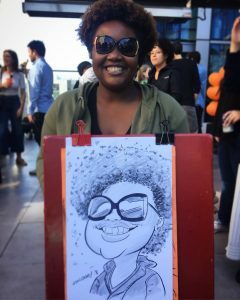 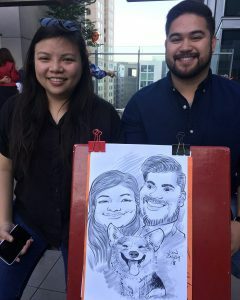 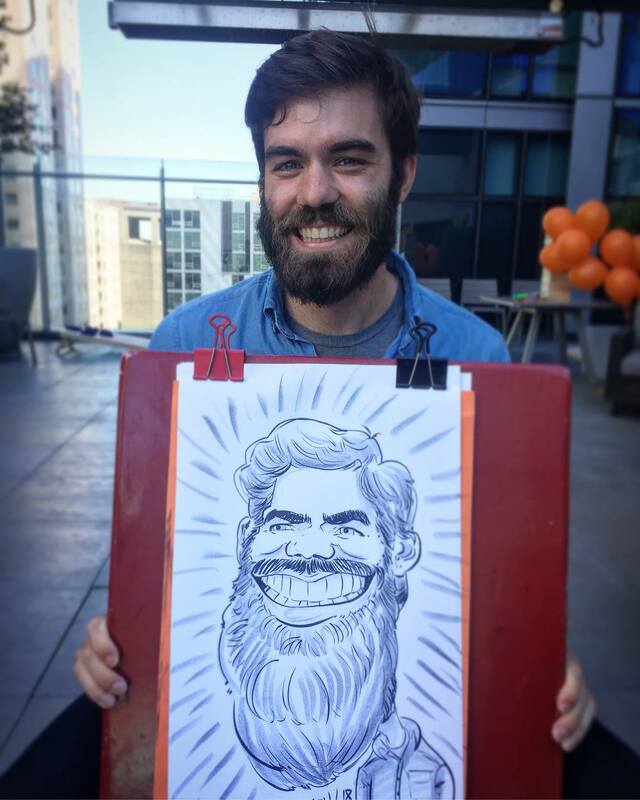 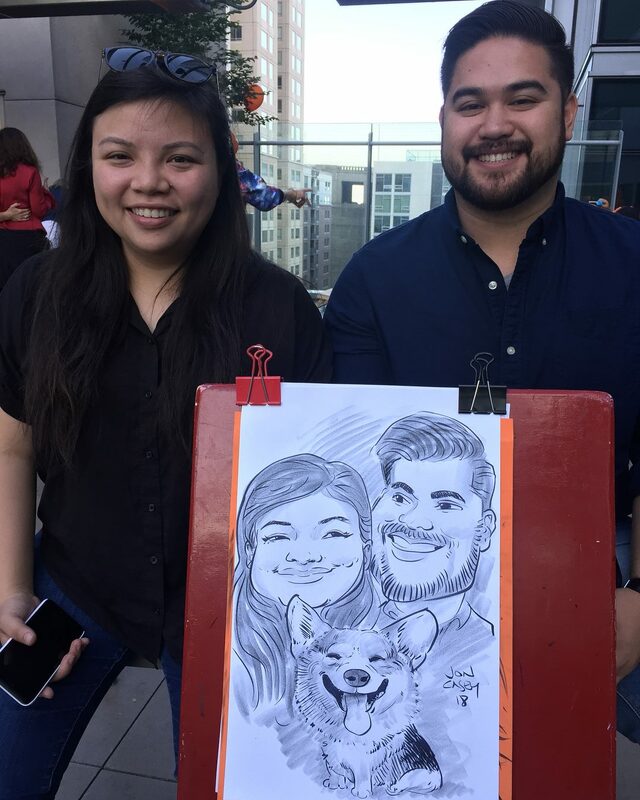 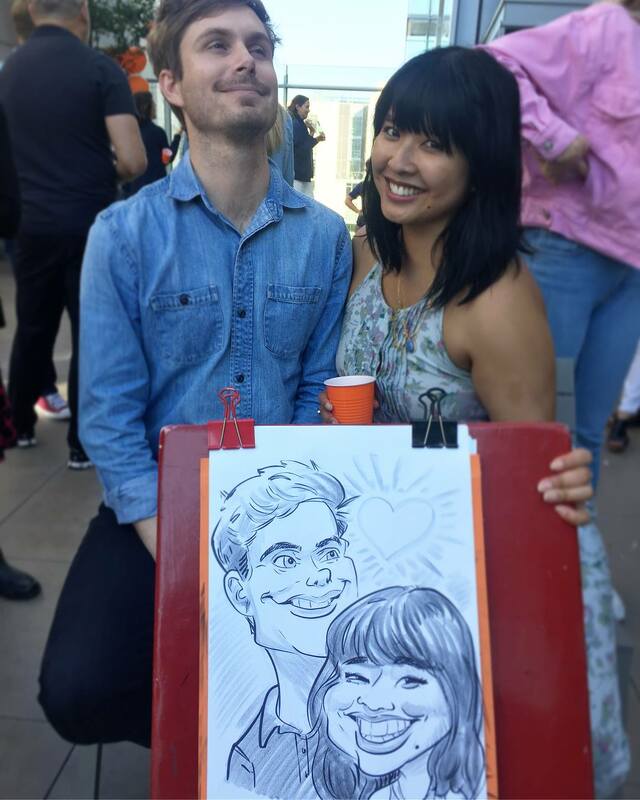 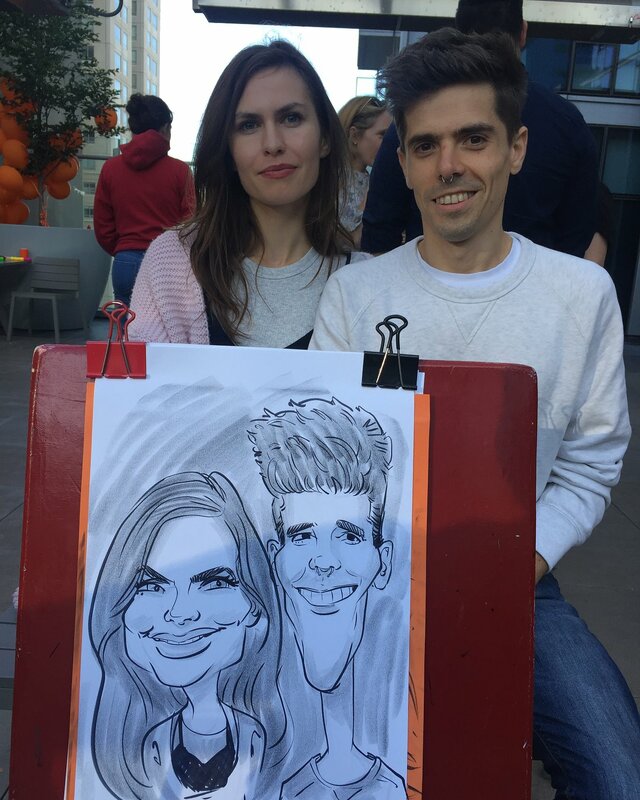 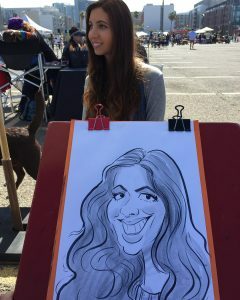 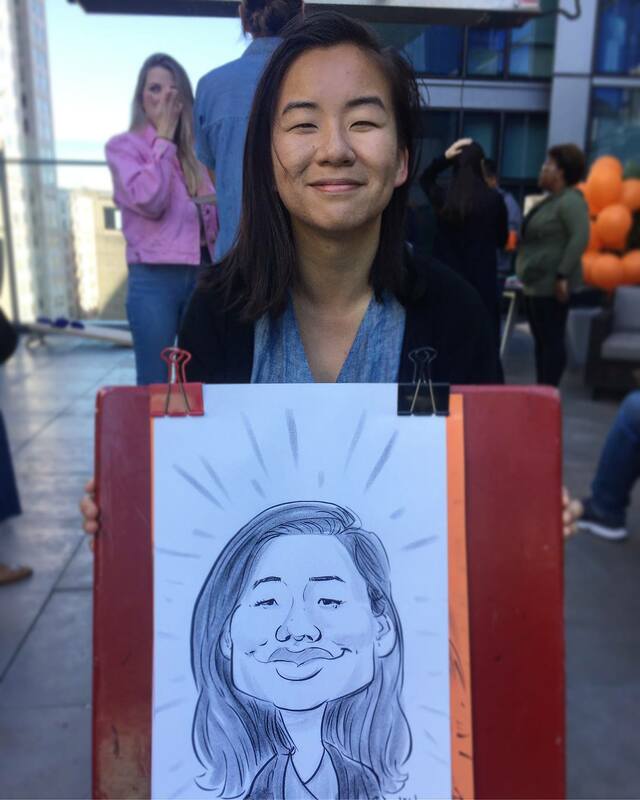 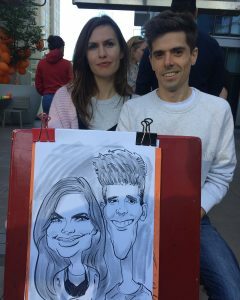 We rely on a group of a dozen amazing Bay Area Caricature Artist’s, so we can bring as many artists as you need to your large Corporate or Private Event!